Sounding Out! Blog | Jennifer Lynn Stoever Ph.D. 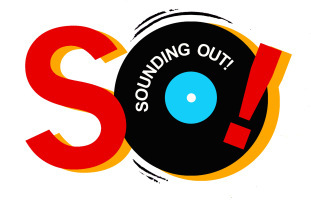 I am the Editor-in-Chief and co-founder of the academic sound studies blog Sounding Out! which has been “pushing sound studies into the red since 2009.” The blog has been acknowledged by several top scholars in the field of sound studies as being its most cutting edge site to publish research! Sounding Out! was approved by the Modern Language Association for indexing in the MLA Bibliography in October 2013. Our ISSN number is 2333-0309. Our web address is http://soundstudiesblog.com/. Sounding Out! provides you with the freshest insight and the latest commentary on the emerging field of sound studies and its many cultural manifestations. Every Monday, our dedicated cadre of writers will sound out the shifting territory of sound studies from different geographical, social, and intellectual vantage points. From the familiar strains of American pop culture to the more uncharted terrains of “noise music” shows, film editing rooms, and dusty analog technology, Sounding Out will amplify the many ways in which sound not only shapes your world, but makes it.